As many of you know, Jim and I have a fascination with a North Dakota poet named Paul Southworth Bliss, and we are writing his biography. For the 100th Anniversary of Armistice Day, we wrote an accounting of his military service, from my research. On his draft registration card, he indicated that he was “tall” with blue eyes and brown hair, of medium build and that he was a “newspaper man.” He indicated that he had a physical disability (hernia, left groin) and a mother to support. He was entered into the U.S. Army on Aug. 27, 1917, training at Fort Snelling, Minn., commissioned as a captain of infantry Nov. 27, 1917. Just before Christmas 1917, he reported to Camp Funston, commanded by Leonard Wood, attached to Company K, 355th Infantry, 89th Division. 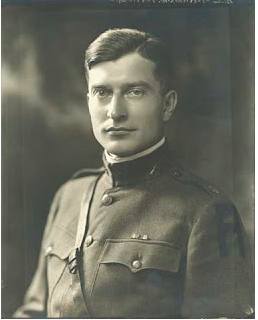 From Jan. 5 to April 15, 1918, he had special duty as the supervisor of academic instruction for Company 2 of the Officers’ Training Camp and was then transferred to the 164th Depot Brigade. In May, he was promoted to major. Maj. Bliss and the First Battalion at Brest, France. Bliss sailed for France on Sept. 2, 1918, with his regiment, landing in Liverpool on Sept. 16, 1918. He was assigned to the 1st Battalion, 805th Pioneer Infantry. Their “engagement was Meuse-Argonne offensive.” The 805th Pioneer Infantry was an all-African American infantry regiment, made up of soldiers from the state of Mississippi, with the nickname the “Bearcats,” after the regimental mascot, a white, wooly, scrappy dog that had wandered into Camp Funston. The officers of the regiment were white. While serving in France, Bliss, like so many military personnel, kept meticulous records, and thus later published the history of the regiment, “Victory: History of the 805th Pioneer Infantry, American Expeditionary Forces.” The publication was funded by a $3 contribution from each member of the infantry who subscribed. This book is an excellent read for insights as to what life for a soldier in that time would have been like. Bliss brought these back by ‘grande vitesse’ (express).” There were also vaudeville shows to entertain the troops. No doubt, Paul Bliss, with his extensive dramatic background, fit right in. Maj. Bliss, in front of HQ805, is third from right.